More and more Americans are choosing to rent instead of own, making for a competitive renter’s market that leaves landlords with the pick of the litter when it comes time to place a tenant. As you have more leeway in the selection process, make sure your lease is up to par with all the provisions you need to keep yourself and your personal assets safe. If you are drafting your first lease agreement, or just looking to make some smart additions, consider the following lease provisions that are often overlooked. It’s becoming more and more commonplace to require renters to purchase their own individual insurance. Should any natural disasters or accidents happen, you may find yourself paying extensive deductible fees to cover repairs on damages. If your tenant were to have something like Allstate renter’s insurance, their coverage would likely cover the cost of your deductible. This provision is ideal for both renter and landlord, as both their personal possessions and your personal assets are covered in case the worst happens. Make sure you have a clear understanding of just what is covered under your tenant’s plan before signing off on the lease. This may seem obvious, but make sure you put a provision stipulating the exact number of people that can live in your home. You may find the perfect tenant, and realize months down the line their boyfriend or girlfriend and four kids have moved in. It’s a common occurrence, so make sure you stipulate verbally and in writing that only the signed tenants can reside in the home. Forgoing this important step means potentially allowing un-vetted individuals to live in your home. If you don’t include a clause on subleasing, be fully prepared for your tenants to take advantage of the situation and look to make a little money off of your property. Most common in communities with college students who will leave for the summer months, subleasing can be an essential part of your rental agreement, but it comes with its fair share of challenges and potential consequences. The problem with unregulated subleasing is that it allows new tenants to reside in your home that haven’t been checked for criminal pasts or eviction histories. If you do decide to allow for subleasing, make sure you require your tenants to submit applications for the subleasees to be vetted through a service like MySmartMove. It will give your long-term tenants the flexibility they need, and ensure your home isn’t vulnerable to the damage of strangers you haven’t approved. You might not have thought to put pest control on your lease, but it can be an important part of the rental process. If you have a pre-existing problem, laws require you to take care of it for the tenants. However, if poor hygiene or living habits on the part of your tenant is the main cause of pests, you don’t want to be responsible for paying for pest control and cleanup. If you’re using a general template for your lease, you might not already have a clause including late fees based on rent checks that arrive late. Varying states and localities have different regulations in place about how much of a late fee you can charge, so be sure to check with legal counsel before you try to enforce this rule. Not only do you need to get your late fee charges in writing, but you also need to remain firm in your practice. Letting it slide once means letting it slide every time, and you need to remember that your rental property is a business, and your tenant is not your friend. Whether you’re renting out your home for the first time or you’ve been a landlord for years, it’s always a good idea to review your lease provisions before allowing a tenant to reside within your personal property. Run through this checklist of clauses and ensure you lease protects you and your personal assets from the vulnerabilities that come along with being a landlord. If you find your current lease agreement less than sufficient, call TalkLocal and we’ll connect you with a lawyer that can help. When you’re looking for pest control services, besides company reputation, you’re naturally interested in costs. How much does it cost to get rid of a termite infestation or vanquish bed bugs or any other critters? The answer varies, according to several factors. Let’s see what they are, so that you know what to expect when looking for pest control services. Pest control services use a variety of products. Some are more effective than others are, but also more expensive. Toxicity is another element that differentiates pest control products. Basically, all treatment methods can fall into two categories: one includes chemical products and the other encompasses eco-friendly substances, which don’t harm the environment. 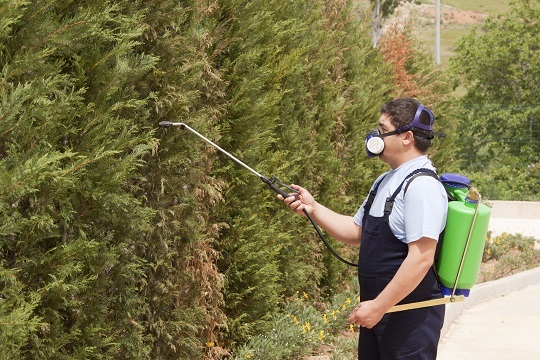 Eco-friendly pest control products tend to have a higher price as compared to chemicals. Orkin pest control prices also depend on the infested surface. A bigger house with a large yard will naturally require pest control professionals to use more resources, time, and labor than a condo, for instance. Some pest control methods require multiple applications for effective results. This means that you will have to pay more to make sure you got rid of critters for good. Or, you could opt for preventative pest control plans which might turn out to be more cost effective on extended periods of time. Pest control prices may be determined by the kind of bug you intend to have killed. The necessary products and resources to be deployed may differ from case to case. The best way to get an accurate idea about pest control prices is to ask for an estimate. Once you choose a particular pest control service, you can have your house inspected and get a quotation based on that. Make sure you compare the prices offered by several pest control services, as well as their reputation in the industry. TalkLocal can make your search easier by putting you in touch with up to three local pest control services, right away and for free. As more and more people become more concerned about the environment, the demand for environmentally friendly products is growing. In the area of pest control, technologies and products have been developed to get rid of pests effectively without damaging the environment. 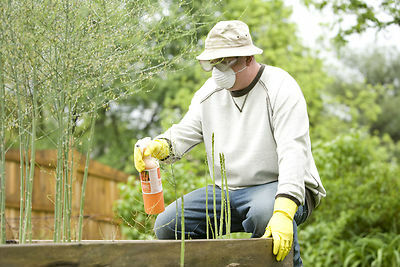 Traditional methods to control pests use toxic chemicals that are harmful to the environment and even to human health. With green pest control methods, pests are eliminated with the least possible environmental and health impacts. Here are some of natural tips and methods that work just as effectively in controlling pests just as traditional methods, but without the harmful effects. A dirty kitchen, piling garbage, and improper food storage will create the perfect environment that attracts most pests from ants to flies, mice, and other insects. Therefore, keeping your kitchen and your entire home clean is one of the best, natural ways to deter pests from entering your home. Also, make sure to take out your garbage regularly and store food properly in well-sealed containers. One simple device for green pest control is a regular fly swatter, which can eliminate all sorts of small flying insects and bugs. Vacuuming is another chemical-free method to get rid of pests that can be found in carpeting and upholstery. You can also install traps to catch insects and rodents without releasing household chemicals into your indoor environment. If the basic strategies above are not enough to eliminate insects from your home, use non-toxic insect control products. For example, castile liquid soap is a great ant exterminator and deterrent. Just mix about two teaspoons of the soap into one gallon of water and spray this solution to ant-infested areas. To keep flies away, put some eucalyptus essential oil onto a small piece of rag or cloth and leave out in any area that often gets flies. Borax is another safe product to use as green pest control. Simply mix with some sugar, and you can use it to wipe out many types of insects. If you absolutely must use a commercial pesticide, go for green pest control products that have no strong chemicals and use natural active ingredients. Look for plant-based pesticides that are relatively safer. Avoid any product that contains chlorpyrifos, malathion, or diazinon. When the pest infestation in your home has gone out of control, you can rely on professional pest control companies to take care of the problem. Many contractors now offer green pest control services. Locate these contractors with the help of Seva Call, your fast link to local service professionals. Terminix is a large pest control company. It offers extensive services to help residential and commercial customers address seasonal pest threats from termites, rodents, spiders, bed bugs, ants, cockroaches, and others. As with any service provider, no matter how popular, it is helpful to check what others are saying about the provider before getting their service. Fortunately, there are plenty of reliable online Terminix ratings that you can take a look at. Here are some major points to consider before hiring this company as well as corresponding Terminix ratings. Terminix handles the widest variety of pests, offering treatment for common and uncommon pests. They have developed their own treatments for fleas and certain types of bugs. They can also protect your home from local pests. Terminix also specializes in controlling mosquitoes and rodents and even snakes. Do note, however, that mosquitoes cannot be completely wiped out, but they can be effectively controlled. One service not offered by Terminix is bird and bat control, although this is a fairly common problem. Terminix rates perfectly in this area with customers reporting the company’s very quick response and excellent support. In addition to quarterly scheduled visits, their crew will come back to your home as many times as needed until your pest problem is resolved. Everything they do is monitored closely, and each visit includes comprehensive reporting so you can see the progress of the job. You can also call them at any hour of the day for emergency pest problems. There are many online Terminix customer testimonials and Terminix ratings, so take advantage of all of these to see whether this company is worth your business. Obviously, hiring a pest control company with a good reputation is important. We understand this, so we pre-screen every service provider in our network. With Seva Call’s help, we’ll make sure you get connected with qualified pest control companies with no time wasted. Terminix, an established, nationwide pest control company, offers different pest treatment plans. Therefore, Terminix prices will vary depending on the plan you purchase. Customers will need to call the company to make an appointment so that one of their representatives will go to your site and inspect the pest situation. Afterwards, they will provide you with a service cost estimate. It can cost you around $50 up to $100 for the assessment alone. Basically, the treatment plans offered by Terminix fall under two types – Termite Plans and Pest Plans. Their termite plans cost about $300-$1,000 per year and includes certified annual home inspection, free termite damage repair, and no fee collection in case termite activity is found. Terminix prices, however, do not include preventative treatments whatsoever. Looking at this plan, it’s easy to think it is not worth the paying the cost of Terminix services, especially when they do not even provide any preventative measures and they have a reason not to find any termite activity in your home. To help you make a decision whether or not to go with Terminix, make sure to read customer reviews about the company from trusted sources. Shop around and consider your local pest control companies. Perhaps they offer good service coverage at a more reasonable price. Are You In Need of Pest Control Now? If you don’t have the time to search for a pest control service provider on your own, Seva Call will gladly help you. We know it can take days to find the right service professional. We are your quickest connection to reputable service professionals in your area. Let us know how we can help you now! Termites are a fearsome menace for many homeowners, especially for those who live in houses made predominantly of wood, as they can cause huge damages. To protect your investment, it’s best to prevent possible infestations or act as soon as you notice any signs of pests around your property. To be prepared to fight termites, first you need to know a few basic things about them. There are two kinds of termites: those that live underground, and dry wood termites, which invade your home furniture and flooring. Also, be careful not to mistake termites for ants. If you spot termites inside your house or around it, it’s important to contact a termite control service immediately. How Can You Choose Between Termite Control Companies? > Do their products comply with industry standards? > How toxic are the chemicals they use? > Are there environmentally friendly alternatives to treat your house? It is not advisable to hire termite control companies based on price only, as a low price may not guarantee the quality of services provided. Reputable services can offer you pest control plans that will protect you against potential infestations over the long-term. Discuss the particulars of your situation, and ask for a house inspection. This allows your termite control company to assess your needs, and then offer you an accurate estimate. 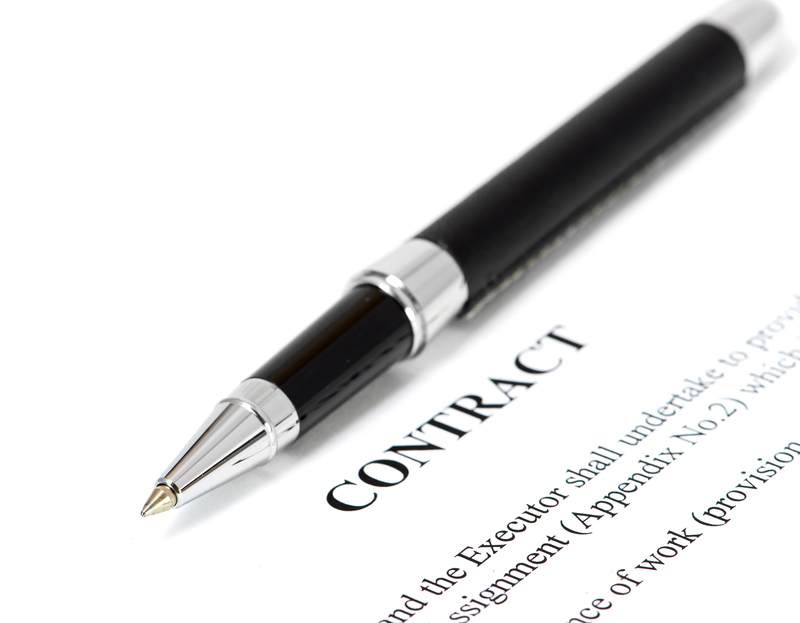 If you choose to go with a pest control plan, you can sign a contract with your preferred service provider. This way, you can rest assured that your house is protected against termites and other critters over an extended period of time. 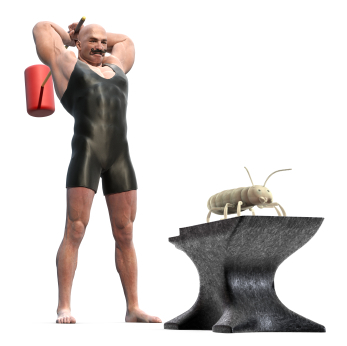 Don’t know which termite control company is best for you? TalkLocal can give you a hand. We will connect you with local pest control experts in just minutes, and for free! Whether we like it or not, we are often forced to face the unpleasant fact that we share our home with insects and rodents. If you notice any signs that you have unexpected company – act immediately. Orkin pest control is a must in such circumstances. Postponing in a situation like this is not an option if you don’t want to become even more uncomfortable in your own home. Bed bugs, ants, wasps, cockroaches, dust mites, termites, mice, and many other critters can make your life miserable if you don’t take the matter in your hands right away and call Orkin pest control to solve the problem. Here are some of the most important benefits of Orkin pest control. Pest control companies can offer you customized plans that take into account your individual needs. You can benefit from long-term pest prevention services and treatment. This option may prove to be more cost-effective in the long run than calling a different service every time you need pest control help. Moreover, by contracting Orkin pest control, you know you can rely on professional help in emergency situations. Last but not least, pest control employees know how to use special products which may be hazardous for human health. Buying a pest control product from the supermarket might temporarily solve your problem, but sooner or later you’ll notice that the critters are back. Professional services offer long-term solutions that will keep you and your family safe and pest free. TalkLocal can put you in touch with local pest control experts in minutes. Contact us today to find your pest control solution right away! Stinkbugs stink! Literally. They are pests in your home and they smell terrible when you try to kill them. Stinkbugs caught a ride to the states on an Asian cargo ship in 2001 and have since been wreaking havoc on our lives. Here are some tips to help you get rid of those smelly stinkbugs. The number one thing to remember when dealing with stinkbugs is that squashing them is not the answer. 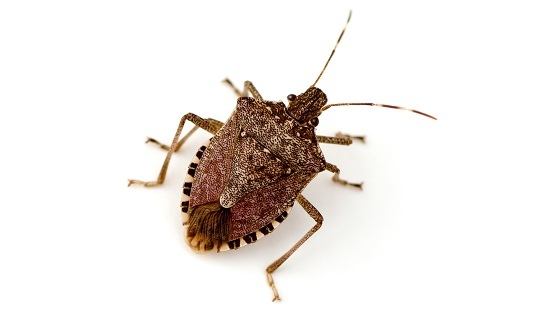 When a stinkbug is squashed, stomped on, or crushed, it will let out a malodorous chemical. This is the reason these insects are called stinkbugs. 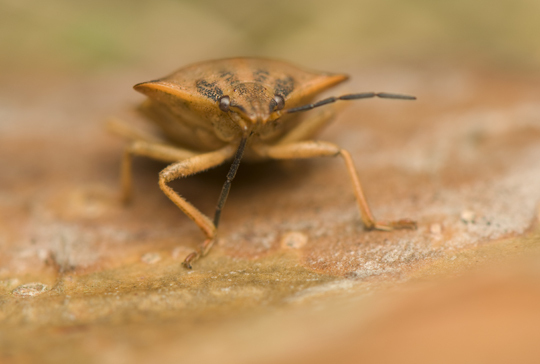 Other stinkbugs are actually attracted to the smell that is released when they die, so you should avoid squashing these bugs unless you want more of these pests on your hands. One option you have when trying to get rid of these pests is to vacuum. Vacuuming stinkbugs is effective because it will trap them without killing them. You should be very careful because even though it does not kill them, it will disturb them. In some cases, they will emit the smell anyway out of fear. You should vacuum quickly and then remove the bag as soon as possible. Put it into another bag and tie it tightly. Throw the bag away as far from your house as possible. A preventative measure you should take is to seal up your home. Stinkbugs come into your home looking for somewhere to stay for the colder months. They enter in search of a bright, warm place to stay. They will hole up in any crack or crevice available. In order to stop this, inspect your home and seal up any holes or entry points. Check the foundation, water spigots, siding, windows, doors, and other areas of vulnerability. Any open gaps should be closed straightaway. If you are having problems getting rid of stinkbugs, you should seek professional exterminator help. Use TalkLocal to be put in contact with reliable local businesses almost immediately. You don’t have to do any work! Simply input your problem and availability and within minutes you should be on the phone with someone who can help you out with your pest infestation problem. Bedbugs are not just fictitious creatures our parents warned us about when we were little. They can present a serious issue. Bedbugs are tiny, reddish-brown in color, and nocturnal. That means while you sleep the night away, they’re up and running around, looking for a good meal. Since most of the pesticides which prevent bedbugs have adverse effects on humans, we don’t often make it a point to spray our beds with them. 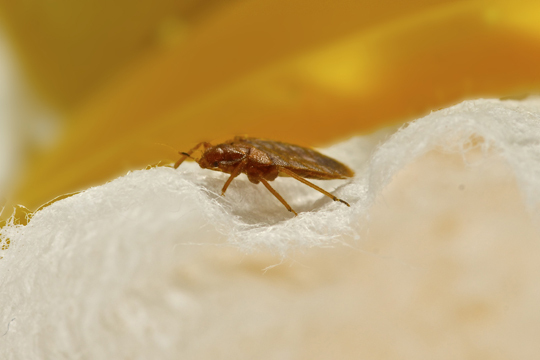 Learning how to tell if you have bedbugs is the key to knowing when you need to implement the typical prevention methods. 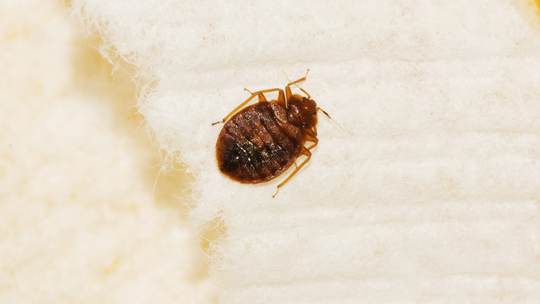 Bedbugs leave behind secretions, similar to human sweat, which may stain your sheets, headboard, and baseboard reddish-brown. These secretions can stain pretty much every part of your bed. The stains aren’t always large and noticeable, like spilling grape juice on the sheets. You should inspect the bed carefully to look for even miniscule reddish-brown stain spots. Do you smell something abnormally sweet? The same secretions which leave those reddish-brown stains also produce an odor that has become telltale for bedbugs. This odor is typically musty and sweet, comparable to over-ripened raspberries. Even the slightest smell can be a sign that you have bedbugs. If the smell is incredibly strong, that means you have a rather large infestation. Have you noticed rashes on your body? Although you can’t feel when a bedbug bites you because it anesthetizes the area like mosquitoes do, you can certainly feel the after-effects. The small rashes surrounding the bites look like hives, are red, and are very itchy. The itch can be alleviated with topical creams available over the counter, but the rashes themselves take a few days to heal. Bedbugs are small and often hide when you are on the lookout for them during the day. Check the creases of your mattress. They often hide there. Spotting a bedbug puts the mystery to rest. If you used these tricks on how to tell if you have bedbugs and determined you do have an infestation, it’s time to get rid of them. Pest control specialists have this down to a science and can be a huge asset. To find one locally, visit TalkLocal and put in a request for service. We do all the work while you sit back and wait for help. Silverfish make a home out of your home. These elusive pests inhabit urban areas and households. They are easily identifiable by their long teardrop-shaped body that is silver, and long “tails” at the end of their body. Although they are not dangerous, they are annoying house guests. Keep reading to learn how to get rid of silverfish. Silverfish can be found in dark, damp places, but usually anywhere there is a food source. They can survive off of books, linens, and food crumbs. In other words, they can eat almost everything in your home, and will damage it all, too. Since silverfish like damp areas, try dehumidifying your home. You can purchase a portable dehumidifier and use it around your house, especially in damp areas such as basements, garages, and attics. Removing the food source is important. Although you cannot get rid of all of your books and clothing, try to keep them in a dry place and off of the floor. Also, clean your home often to remove any crumbs. Cleaning could also lead you to the nest of the silverfish and allow you to eliminate their eggs, so keep a tidy household! Wipe all surfaces, nooks, and crannies, and vacuum your floors and carpets. If you have a serious silverfish problem, you may consider using an insecticide that you can purchase at your local hardware store. It is safe to use in your home in dark places, behind or underneath appliances. You can also catch silverfish humanely with a glass jar trap. Wrap a jar with masking tape, sticky side facing the jar. Put some breadcrumbs inside the jar and place the jar in an area where you think you might have silverfish. The silverfish will climb into the jar and fall in. Since the inside of the jar is too smooth, the silverfish will be unable to climb out. 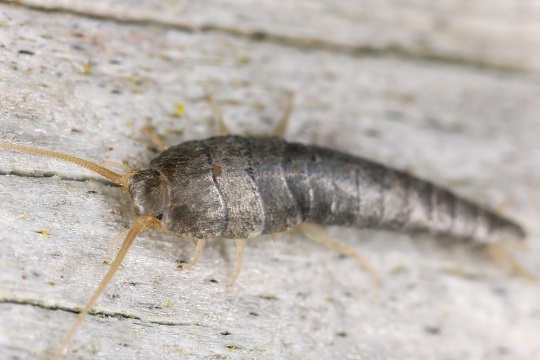 If you have a serious silverfish infestation, TalkLocal can help connect you with top local pest control professionals. We will connect you with up to three professionals in your area, within minutes!